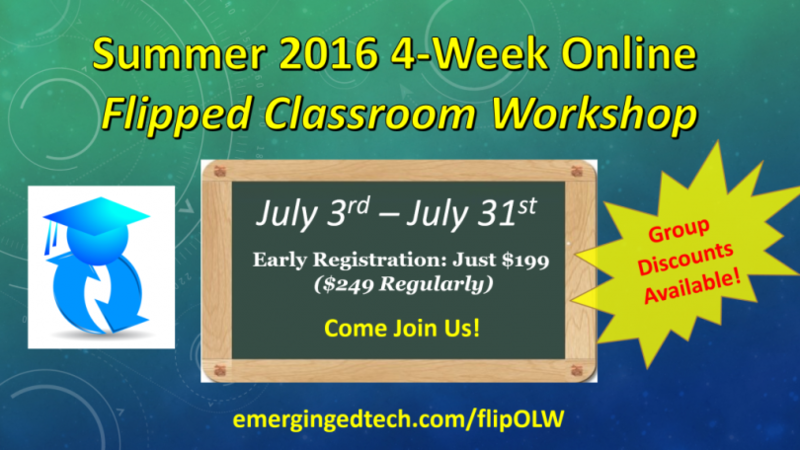 Registration for summer workshop is now open! 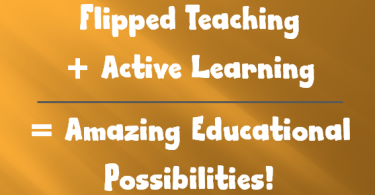 Register early for just $199! (through May 31, then it goes up to the normal price of $249). LEARN ALL ABOUT THE WORKSHOP AND REGISTER HERE! 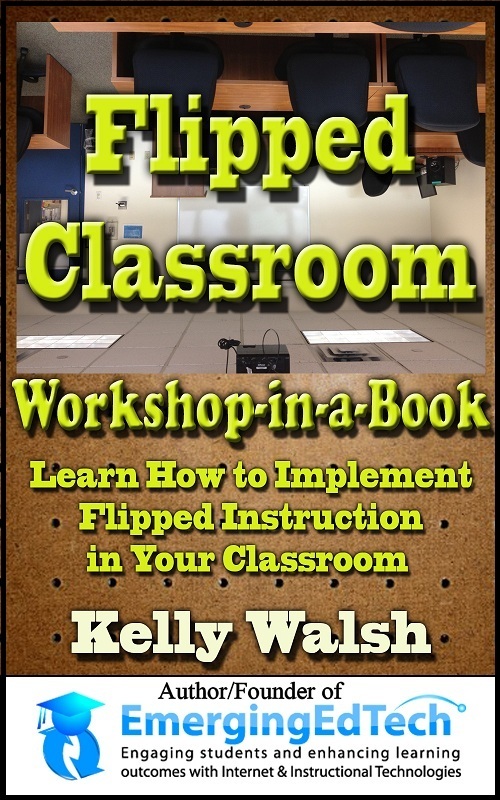 All participants will receive a free copy of the “Flipped Classroom Workshop-in-a-Book” eBook in PDF format, which we will use throughout the course.